Review is based on the Disney/Touchstone English dub. 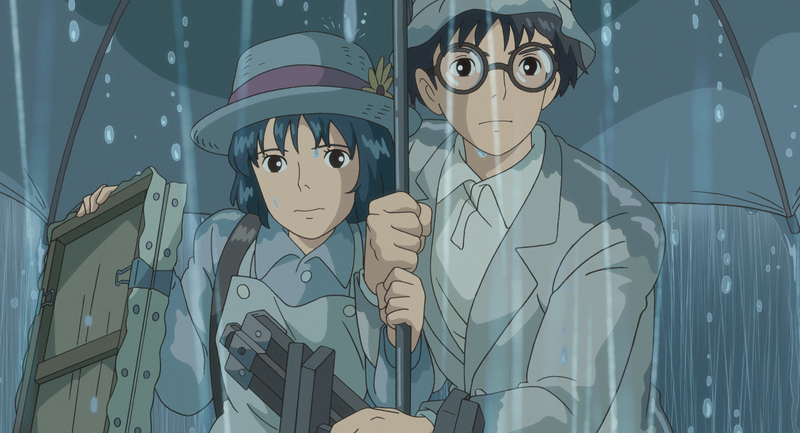 Touted as the last film to be directed by legendary animator Hayao Miyazaki, The Wind Rises understandably will carry a lot of weight with fans of the director, Studio Ghibli, and animation in general, with the film even being nominated recently in the Academy Awards’ Best Animated Feature category. The director has, since the 70s, made a name for himself as a whimsical filmmaker with a fine attention to detail, both visually in the work his crew puts out and within the worlds and personalities of the characters he portrays in his films, which rarely feel anything like the stereotypical animé Western audiences are more familiar with, and yet also so distinctly different from Western animation from any era. Understandably, he’s going to be missed, and while Studio Ghibli has plenty of talent to build off of and directors who have proven to be more than capable of creating films in the same mold as the elder Miyazaki, it’s unlikely that we’ll be seeing the like of his work ever again (so long as he’s actually serious about staying retired). 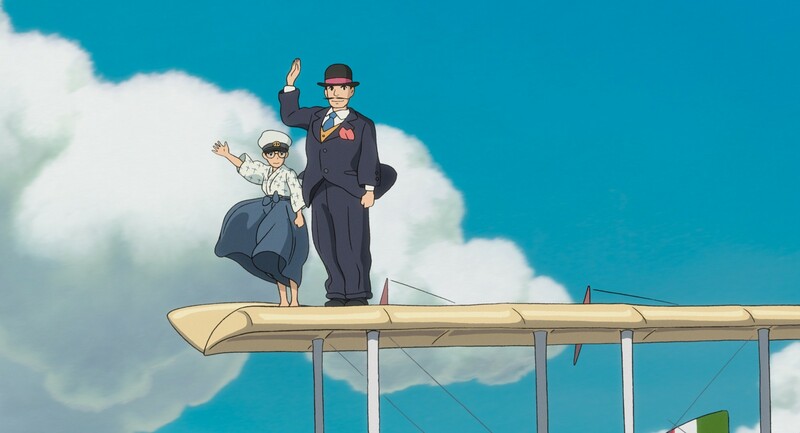 In some ways, then, it’s probably only fitting that The Wind Rises (or Kaze Tachinu) will likely also be Miyazaki’s most controversial film, in more ways than one. Criticism of the film has come from seemingly all directions, with some stating that the famously pacifist director is somehow glorifying the process of developing machines for warfare and for glossing over the horrendous acts the Japanese government enacted upon Koreans and Chinese workers, while others have critiqued the film for its lack of patriotism regarding the advances the country made technologically during that time. From an artistic standpoint, some fans of Miyazaki were disappointed that the film was far less whimsical or fantastical than the films that had made him famous – Princess Mononoke, My Neighbor Totoro, Spirited Away, and Ponyo being some more recent and prominent examples. 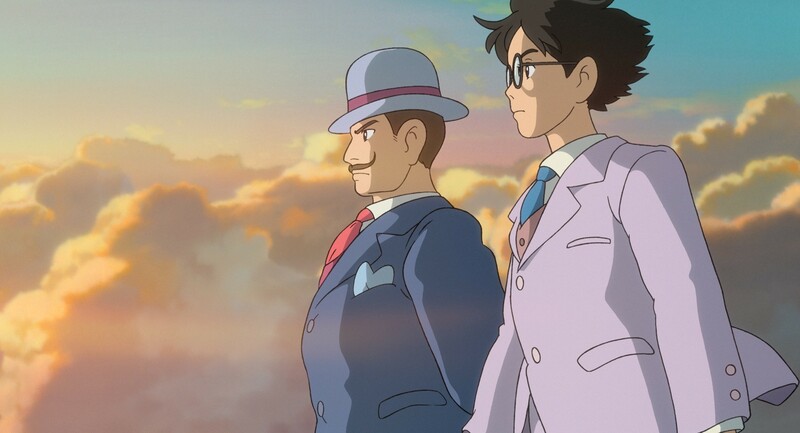 The Wind Rises – being based on the life of a real man, Jiro Horikoshi – is undoubtedly more reserved than fans craving one last fantasy film from the master animator would have probably liked. 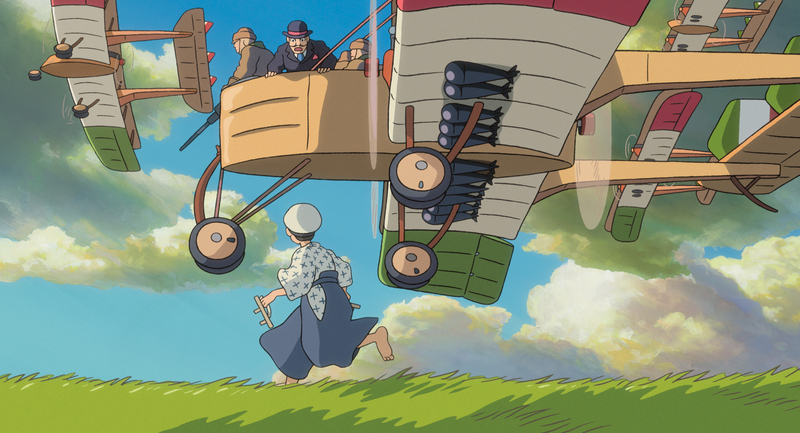 That’s not to say that The Wind Rises lacks any sort of special Miyazaki touch, however. This is undoubtedly a film that was made by the old man reflecting on his career, using the story of another man driven by his passions as a catalyst for his own reflections. Jiro Horikoshi, the lead character was the chief engineer who was responsible for the ultimate creation of the Mitsubishi A6M Zero fighter jet that the Japanese used during World War II (including the attack on Pearl Harbor and in kamikaze attacks), which might seem like a dull story to explore (and, indeed, Miyazaki admittedly did see fit to augment it with a completely fictional romance element borrowed from a story written by Tatuso Hori that shares the film’s Japanese title), but anyone familiar with Miyazaki knows that he, too, shares the same love for flying machines as Jiro has here. Jiro goes on to become a great aeronautical engineer and eventually lands a star position at Mitsubishi, which has also landed its own contract with the Japanese Navy. He also falls in love with a woman named Naoko, a painter who catches his eye thanks to the always blowing wind. It’s inevitable, however, that Caproni’s warnings come to fruition, and Jiro’s beautiful designs quickly start to mutate in order to accommodate guns and other tools of war. 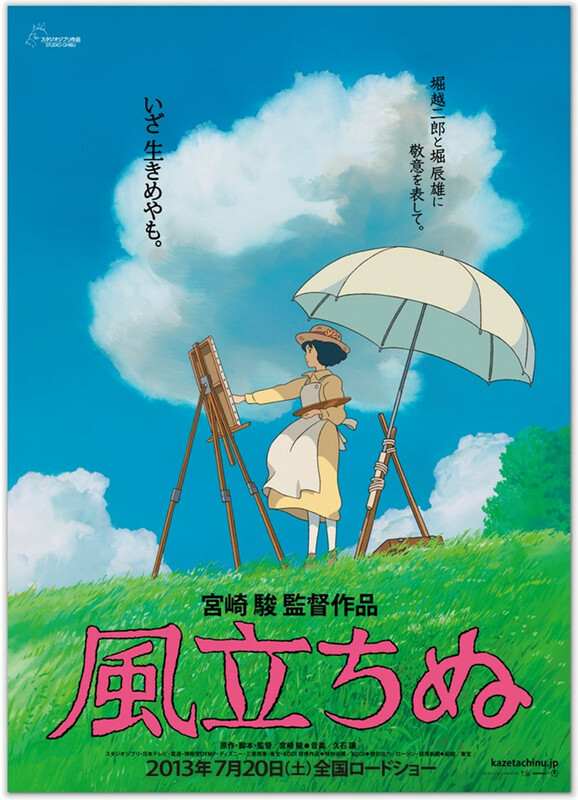 The Wind Rises is certainly one of the tougher films to watch out of Miyazaki’s eleven directorial works, and not in the same way that Isao Takahata’s tragic Grave of the Fireflies was tough to watch, either. There was a film where the innocents were plain and simple, caught up in the crossfire and cruelty from both sides of the very same conflict that this film leads up to. Jiro is presented here as a decent, philosophical man – one who is both part engineer and poet, caring and generous without an expectation of having it returned in kind. And yet he’s also presented as being relatively ambivalent about the rest of the world around him. A tour of Japan’s ally, Germany, shows him as having very little concern over the host nation’s secret police, which is in contrast with his mild frustration over the classified nature of their planes’ designs. And while he’s fully aware and makes jokes regarding the fact that he and his team are designing war planes, as he had feared, the fact that it’s letting him pursue his dream becomes his only concern – sometimes, seemingly, at the sacrifice of spending time with those whom he likely genuinely loves. This has likely been the source of much of the apparent controversy over the film, and it’s easy to understand why those who must take a black and white stance on all things and demand the same from their entertainment feel enraged one way or the other. It’s almost refreshing that the film takes this position, however, and when you get down to it, it’s almost as if it’s a commentary on the fact that this is pretty much how everyone lives – there are conflicts going on all around the world that we are both aware and unaware of but have likely played some miniscule part in contributing towards. It’s doubtful that Miyazaki intends to excuse this, nor is it likely, based on his past work, that he’s advocating for the lack of concern or action on our part, either. It’s far more likely that Miyazaki is instead intending to tell us that if we are always more concerned with all the bad things going on in this world and worried about what ill effects may come about from our actions, how will we ever actually take a chance and do any actual good work, too? Regardless of the film’s message or the true nature of why Miyazaki was so driven to adapt this more than once (first in manga), it’s nonetheless an effective, beautiful, but also challenging work, one that’s appropriately more serious and contemplative as what is likely to be the last film we will see from this aging master (assuming he’s actually serious about retiring this time). It maintains the director’s and the studio’s attention to beautiful and detailed imagery while presenting a compelling enough story. 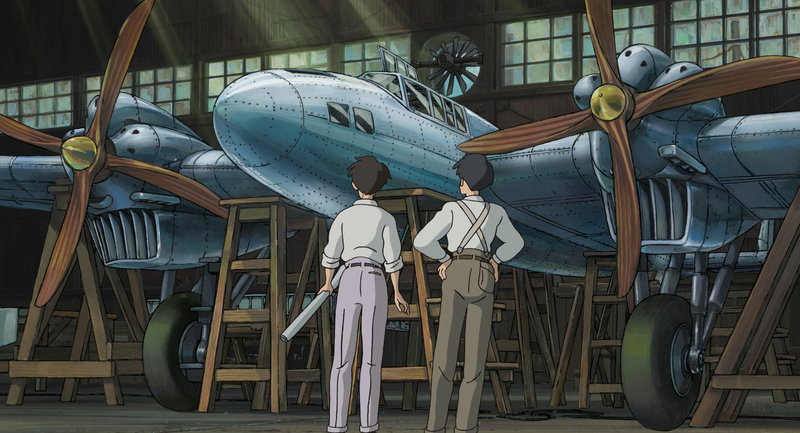 Even if it’s not the one that most fans likely would have expected or even demanded from the man who has already given us so many other whimsical, fantastical films over the years, The Wind Rises is the most unexpected and personal of all the films that Miyazaki has produced and will likely stand the test of time as one of his most remarkable as a result.